The Y356 meets the multi-purpose needs of many light trucks, minivans, and light utility vehicles. It is original equipment on Mitcubishi and Chrysler one-ton pickups. A comfortable ride, good wet-road traction and sure-footed dry-road handling without excessive tire noise is delivered by the three-grove tread block pattern and three-pitch variations. 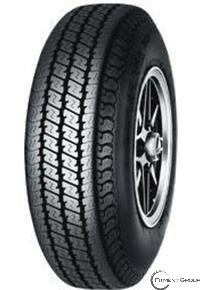 Strength and versatility of the Y356 is provided by tough two-ply steel-belt plus two-ply polyester construction, while use of a special tread compount prolongs tread life.